Clean and Proud Program: What's In It For You? Sparkling Highways, PReserves, and Neighborhoods. Community Service Opportunities for individuals, kids, families, schools, clubs, and neighborhoods. Taking Positive Action to make your surroundsing better for yourself and others. Time Commitment Options to match your lifestyle: a few hours or days, once-a-year, once-a-month, once-a-quarter...you choose! Become part of a group committed to change the worl;d you see everyday. 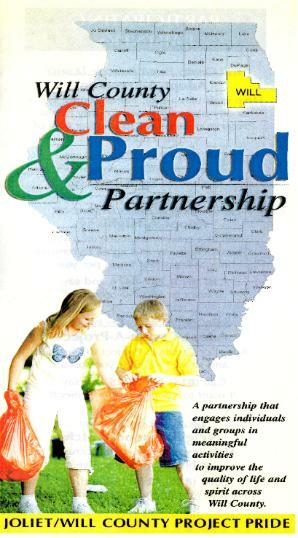 A successful Joliet and Will County Cleand & Proud Partnership requires community involvement to positively impact programs and services.